This piece originally appeared on Everyday Exiles. I’m now on the other side of this struggle, but it’s no less real and difficult because it’s already happened. She proceeds to tell me the therapy is working. (YAY!) Then she says I have a hemorrhage (that’s a scary word in ANY situation) on one of my vocal folds and I need 7 days of total vocal rest. Do y’all know that means I can’t talk… OR SING… or whisper or laugh or cough or chat on the phone with my bestie or read books to my kids. Or say anything. Period. I began this stint of vocal rest by crying in the doctor’s office. Selfishly, I’m sure, because I’m a loud, outspoken extrovert (often to a fault) and it sounded like pure torture, but also because if the hemorrhage becomes a recurring problem, then I have to have a laser (!!!) procedure to make it stop. More stuff? More work, time, money, effort, and heartache put into this issue that hinders me from doing what I love most? Let’s pause here, because this next part is what’s important. I believe my voice is a gift that the Lord gave me. I use it to glorify His name whenever possible, and now I do that professionally – which was/is my life goal. Boom. But having my voice taken away from me? I’m like Ariel – “but how will I communicate? !” (Ursula would say, “You’ve got your looks, your pretty face… and don’t underestimate the importance of body language – HA!”) That isn’t going to work so well. An extroverted singer doesn’t have time for not using her voice. But what I’ve realized is that not speaking has given me a freedom to stay silent when I don’t know what to say. It gives me reason to think before I speak (or write something down, since speaking isn’t an option). It gives me extra margin to think, to pray, to consider what I’m ingesting from all the outside influences (good and bad) without needing to respond to them immediately, or at all. It’s also given me cause and time to ask the Lord for healing, for strength for the next few days, for a blessing of quiet joy as I learn things about my personality I hadn’t known before – such as how often I interrupt people, which is impossible to do when you’re writing things down – the topic of conversation has already changed by the time I have written my quip. This silence has forced me to pause and appreciate being home (since going out and extroverting means using my voice more) and staying and resting in the stillness whenever possible. These things are hard for me, y’all, but I know that He provides strength. I’m crying even as I write this, because it’s a battle for me to know that in all things, He is working for my good (Romans 8:28) but I also know that we are sometimes grieved by various trials so that our tested and genuine faith results in praise (1 Peter 1:6-7). Self-care is becoming a buzzword in our society. As we are able to work from home (read: anywhere), connect with hundreds of people are the touch of a button, and multitask like true professionals, we’re only getting busier. The call to slow down and take care of yourself is simultaneously getting louder and more difficult to heed. As a SAHM mother of three children under five, who also works part-time, finding time for myself is often not at the top of my to-do list. But I’ve also realized that I’m a better wife and mother if I have a little time to myself. It looks different each day, and I spend it differently each time, but here are a few things I do to ensure a little time for me. 1. Plan it with my hubby. He’s my support and my biggest cheerleader, and he’s always willing to help me have time to get my nails done or even to just take a nap. He encourages me to write, to practice my music, to go out and have coffee without the kids. I plan with him for when he can keep the kids and I can sneak out for an hour or two to refresh, to relax, and do whatever it is I need to regroup. 2. Let some things go. Sometimes, when my kids are napping or go to bed early, I get the urge to clean all the things, fold all the laundry, and prep all the meals. Other times, I let it all slide (even though those chores are still waiting on me) to take a long shower, read a book with un-re-heated coffee, or watch a movie with a glass of wine. Believe me- the dishes aren’t going anywhere. 3. Hang out with a girlfriend (or a few). My girlfriends are a mix of fellow moms and also gal pals who don’t have kids. Sometimes it takes a lot of planning (and babysitters) to get together with them, but other times, I can just have a friend over for morning coffee after preschool drop off, or a post-bedtime chat over wine. Being with a girlfriend can refill the relational and feminine parts of me. And never underestimate the reinvigorating qualities of a girls’ night! 4. Take a power nap. Napping isn’t for everyone, and it wasn’t for me until I had kids. But now that I often choose many things over sleep (including things I love doing, not just chores), a power nap can work wonders. A 20-minute snooze during their nap time can be just as good as napping the whole time they’re asleep! If I know I have things to do after their bedtime, the power nap can keep me going a little longer. 5. Get dressed. I always feel more productive and happier with myself when I make the effort to get out of my pajamas (even if I’m not leaving the house), wash my face, and brush on a coat of mascara. It sounds silly, but it gives me a boost, and makes me feel more like myself, even if I don’t need to do it. What things do you do to make sure you’re your best self? 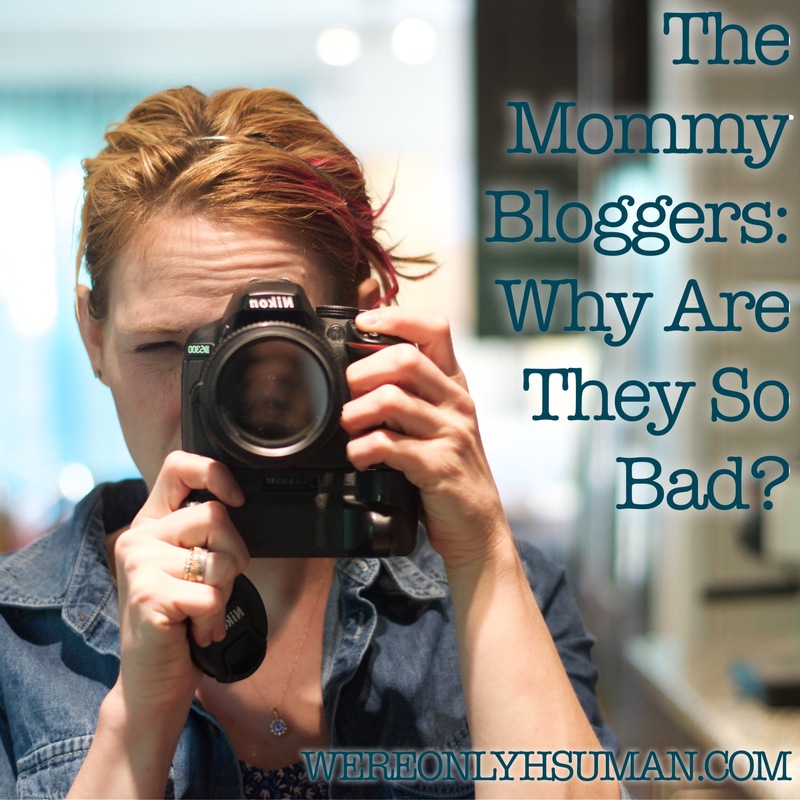 The Mommy Bloggers: Why Are They So Bad? I read a disturbing article recently, bashing “mommy bloggers”. Somewhere along the way, we’ve labeled mothers who write, on blogs and/or elsewhere, with an awful name and lumped them into a group together, as if they all have the same goals, ideas, or talents. I’ve only been writing for a couple of years now, and originally, I thought it would be to make some money. As it turns out, I’ve switched tracks and simply fallen in love with writing. Yes, just the process. I’ve made a little bit of money (not much, truly), and I’ve been published on several sites other than my own, but I don’t think that’s what drives me. I love sharing my life. I love encouraging and positively challenging others. I love sharing the Gospel. I love connecting with other women, parents, writers, and Jesus-followers. You see, when I started writing my blog, the first thing I did was start reading others’ blogs. Like, a lot of them. So now, I have people whose words I truly admire, aspire to emulate, or simply laugh out loud while reading. I’ve enjoyed getting to know these other writers, and even becoming friends with several of them. I’ve seen their children grow, and their families get larger. I’ve seen hard times fall upon them and I’ve seen them pray and wade themselves back out of them. They have likely seen all these things in my life as well. What I’ve learned is that other people like to connect, too. We all like to know we aren’t the only ones. We like to see that someone has made it through the stage of life that we feel we are stuck in. 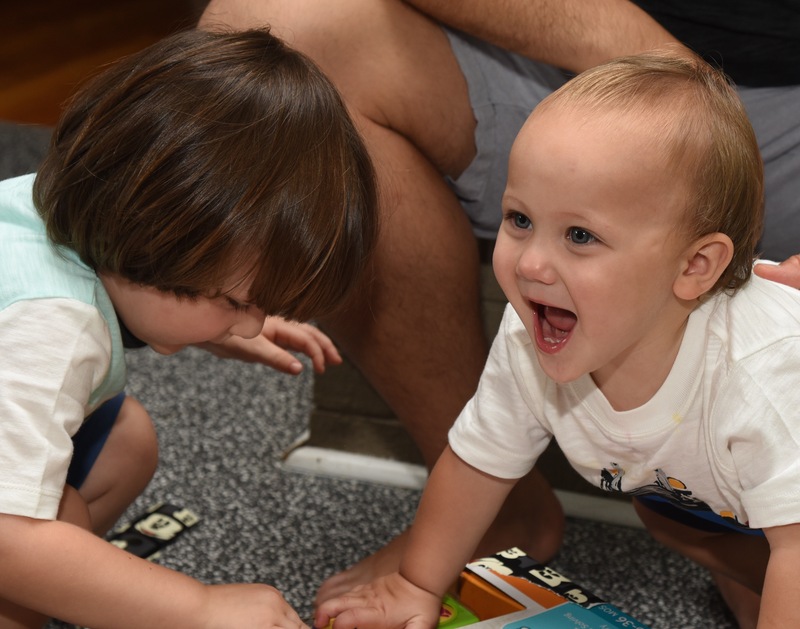 Parents really like to connect, because there is often wisdom to be gleaned from other parents, or at the very least, some encouragement that “This too shall pass.” We tend to feel we are stuck in some rut or another, with a tantrum-throwing toddler or an eye-rolling teenager. We love reading that someone else is also dealing with those issues. It reiterates the humanity of the situation for us. So, “Mommy Bloggers”, I say this to you: I appreciate you. I appreciate your realness, your humor, your honest distress and the encouragement you’ve given. I can only hope that my words and the sharing of my life have encouraged, amused, and provoked thought in you, as well. We all feel like the pressure is on to give the moms in our lives a spectacular day, filled with presents, good food, and thoughtful words. 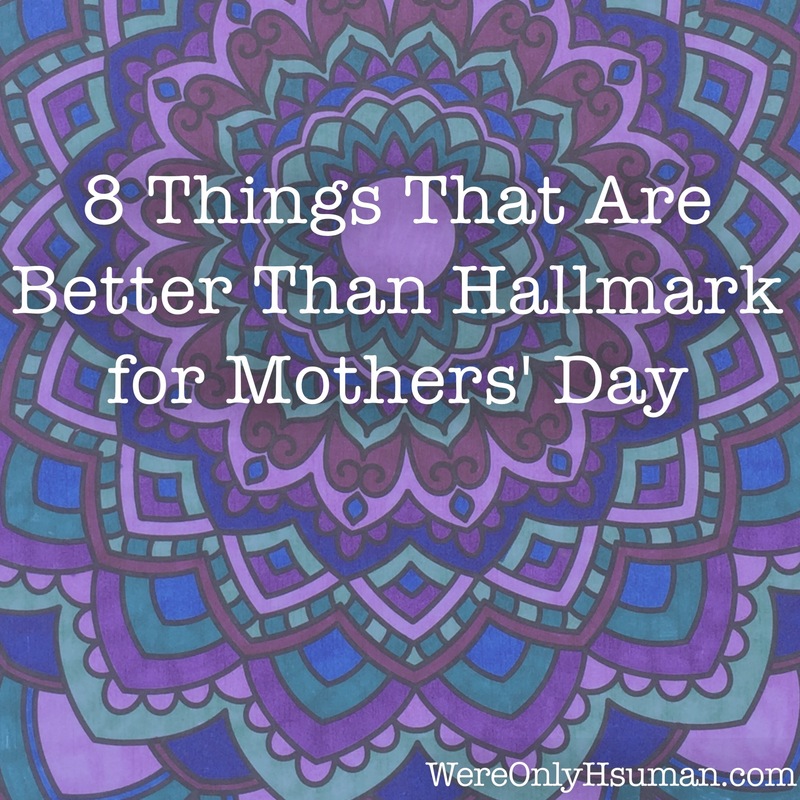 However, I’ve discovered that this list might make that mom in your life even happier. 1. Wine. If we go out together and drink it, or if you put a bow on it, I’m happy. 2. Chocolate. I know this is a gift many moms might receive, but let’s add this stipulation: I don’t have to share it. 3. Mani/Pedi. I’m always looking for a nice way to spend a couple of hours without my kids. Luckily, this way includes sitting in a massage chair. 4. A babysitter. Must come with a “use whenever and however you want” clause. 5. A housekeeping coupon. The next time I don’t want to clean the bathrooms, I’m cashing in. 6. Gift card for my favorite take out. Because that’s easier and more delicious than grocery stores and cooking on my own. 7. An adult coloring book. And a set a fine-tip Sharpies. And a few hours alone. It’s amazing how stress-relieving mandalas and kaleidoscopes can be, especially if coupled with #1 or #2. 8. 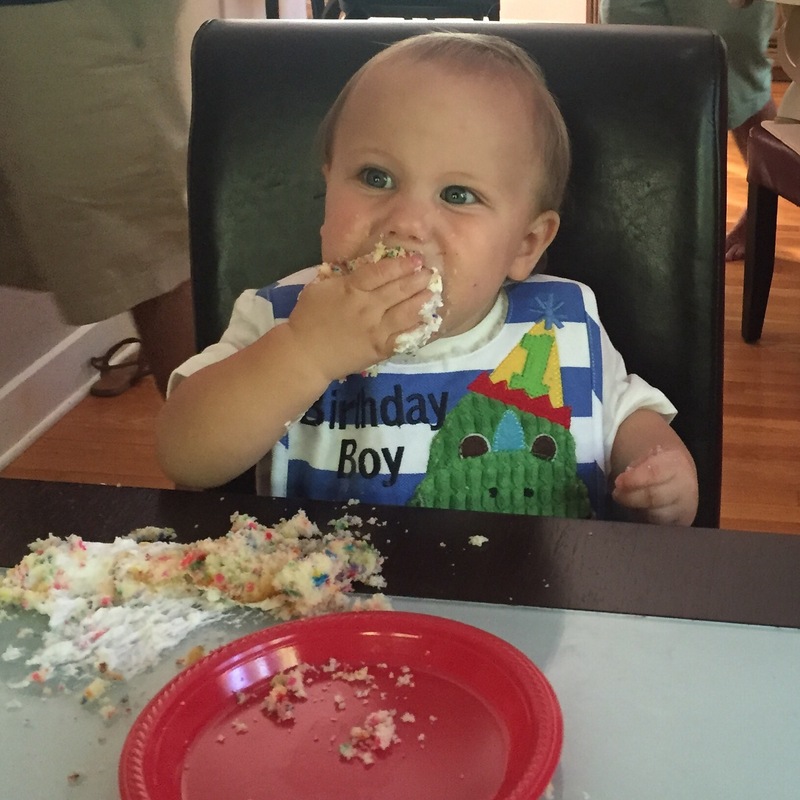 A family fun event… That I don’t have to plan or do the prep for. I love family time and fun outings. But sometimes I run out of ideas of things we can do with the kids, and I burn out on getting everything ready/packed up. If a day of fun was planned out for me, and the kids were already packed? I’d do anything. What would you rather have this Mothers’ Day than a cheesy, $5 greeting card? 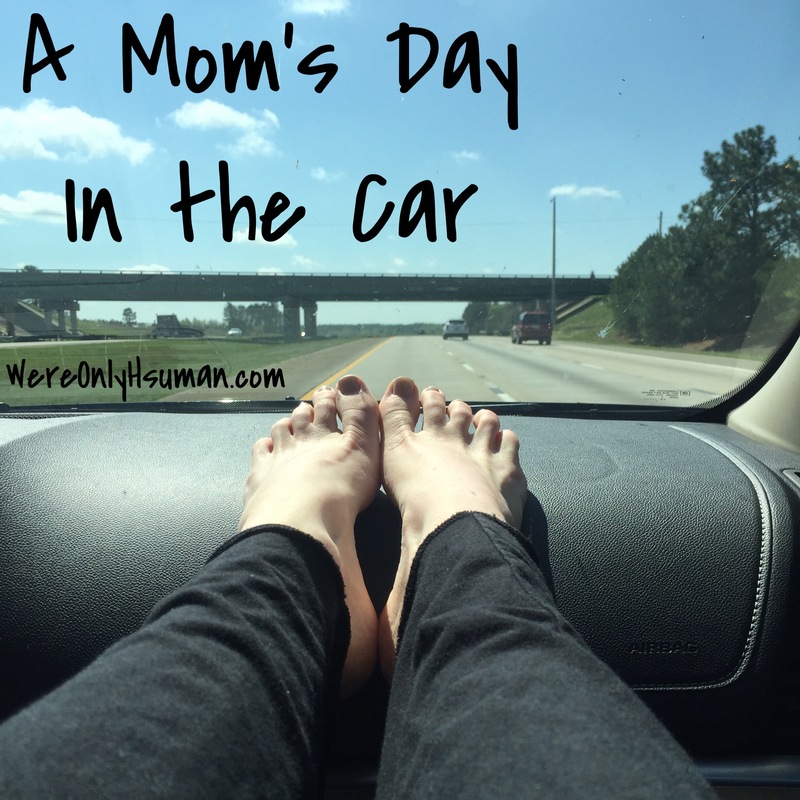 Last week, my family did the unthinkable: we took a road trip. Poop. Yes, as we are constantly telling our children, everyone poops. However, when poop happens into a diaper, there’s quite the clean up to be had. And sometimes if it takes us a little longer than usual to either realize there has been a poop, or to find a place to go to clean up said poop, the mess may have just gotten bigger. For example, on the way back to NC, my youngest (8 months old) went through three changes of pants. All I have to say is thank goodness the child seat wasn’t ruined, because there’s no way to change that in small town SC. Food. Everyone has to eat. The problem is that everyone eats different things at different times and sometimes, they’re pickier than usual. For instance, my terrible two went completely bonkers when I suggested he drink lemonade and eat oranges. For crying out loud, HE LOVES LEMONADE AND ORANGES! 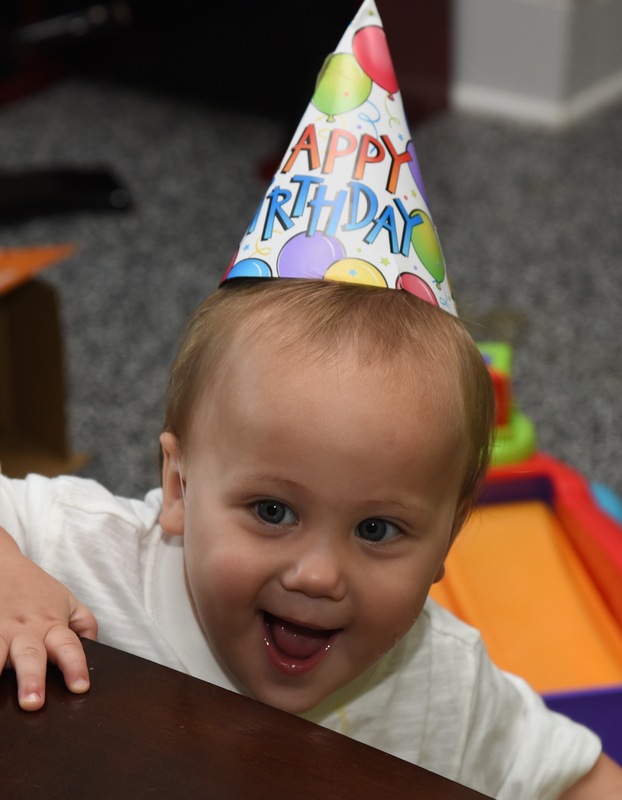 But for some reason, when those were the most readily available things, he flat out refused, via a tantrum. We ended up making it the last two hours with jelly beans. That was the only reason we made it home. Scheduling problems. My kids typically have an afternoon nap all at the same time, (within about half an hour of each other). My youngest also has a morning nap. 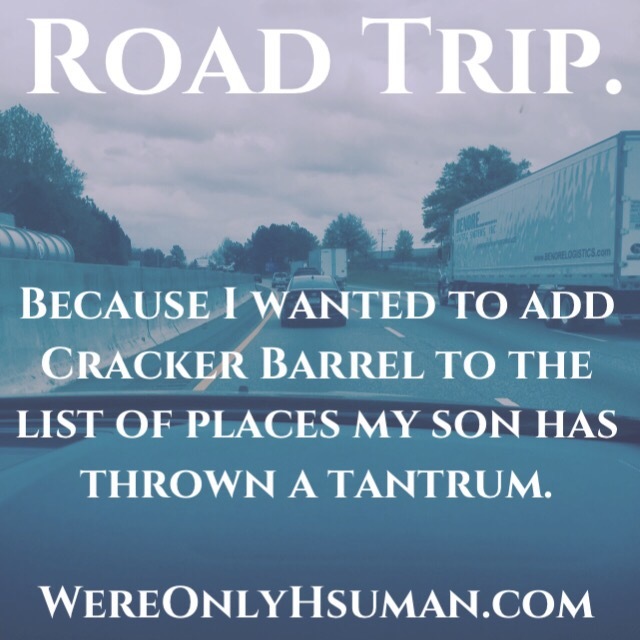 But when we’re in the car all day, and no one has let out any energy, we’re just watching movies and eating jelly beans, naps are a little wonky. However, at some point each of them are going to have a meltdown (probably about how we won’t stop the car and let them out) and get tired. It’s just tough when one goes to sleep, and another has a meltdown and wakes that one up. Then finally those two are asleep, and the third one gets hungry and starts yelling. I’m telling y’all, it’s one of the circles of hell. Movie preference. We are extremely lucky to have a car that has a DVD player and screens in it. We’ve not even had it a year, and before that we were using the iPad, harnessed between the two front seats (that had to be exactly side by side). But even with the screens, there’s a little bit of complaining about what we’re watching. Why can’t I just put on Frozen? Why can’t we watch endless episodes of Sofia the First? Well, what about Chuggington? Because MY CAR DOESN’T HAVE NETFLIX. That’s why. I brought 8 DVDS. CHOOSE ONE AND BE HAPPY. All in all, we made it out alive and well. There might be some emotional scarring, but in a few days, I’ll be okay.